Ready for a new you with your new facelift in LA? Dr. Sanders is a gifted Los Angeles cosmetic surgeon who has helped numerous facelift patients achieve more youthful and refreshed appearances. He uses the most advanced techniques to help facelift patients erase the signs of aging, including deep lines and wrinkles, and improve the appearance of jowls and wrinkled neck. In the paragraphs below he describes the facelift procedure and how he focuses on providing beautiful and natural results. Visit our photo gallery to view facelift before and after pictures from Dr. Sanders’ previous patients. Come and see why Dr. Sanders has a 5-star Google rating from his ecstatic patients! We all suffer from the consequences of age. But today, more women and men are discovering that by repositioning drooping fat, removing excess fat, tightening underlying muscles and re-draping skin, they can receive rejuvenating effects. For some, a facelift procedure may provide the solution. But how do you avoid a “plastic,” pulled look that lets the world know you’ve had a procedure? The skill and artistry of Dr. Sanders can enable patients to appear years younger and recapture their youth with an improvement that appears natural. To do this, he offers more than one type of facelift to his Los Angeles and Encino patients. A full facelift lifts the cheek, jawline and neck areas by tightening loose skin and muscle and lifting drooping fat in those areas. A full necklift is similar to a facelift, however it addresses the jawline and neck areas only. This procedure is perfect for patients who wish to address only these areas and leave the cheeks alone. A cheeklift lifts the cheek and jowl areas, leaving the neck alone. Many younger patients find that this addresses their areas of concern. This procedure is ideal for patients who have sagging skin in the cheek and/or jowl area, but do not have excess skin or band lines on the neck. A limited necklift addresses the jawline and neck, but is intended for those patients without a great deal of loose skin or muscle in the neck region. The skin of the front of the neck is not lifted to achieve access to the muscle. Instead, that muscle in the front of the neck is tightened from the side, which also allows for skin tightening. The advantage is that the limited necklift procedure can be done under local anesthesia, no drains are required and no overnight stay in a recovery center is necessary. One very popular type of limited necklift is called a MACS-Lift. 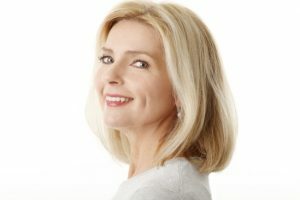 A limited, or mini-facelift combines a limited necklift with a cheeklift in that it improves the cheek and jawline area, with only a moderate change to the neck. This type of facelift is perfect for patients who want smoother, lifted skin around the cheek and jawline but whose neck requires minimal improvement. One popular type of mini-facelift is termed an Extended MACS-Lift. Many patients choose to enhance their facelift with facial implants, fat injections or dermal fillers. Which should you choose? Facelift surgery and facial implants solve two different aesthetic problems, though they may also be used together depending on the patient’s needs. Facelift surgery alone will lift drooping fat, remove excess fat and tighten loose muscle and loose skin. In some cases, nothing further is required. In other cases, the addition of implants/fat/injectables to the cheek or jawline will restore a more youthful look. This may be done with or without facelift surgery, depending on the patient’s needs and desires. In the consultation, these issues can be discussed in detail as they pertain to the case at hand. The price of a facelift varies based on the needs and aesthetic desires of the patient. During your consultation with Dr. Sanders, he will provide you with a price estimate that is based on these individual factors. At that time, you may also wish to ask Dr. Sanders about the financing options that he offers, which create an affordable monthly payment method with low to zero interest. To schedule a consultation with Dr. Sanders for a facelift in LA and Encino, contact his office at (818) 981-3333. The size and location of the surgical incisions, as well as certain other details of the procedure, vary based on the type of facelift being performed. In a full facelift procedure, an incision is made inside the front edge of the ear and extends under the sideburn and up into the temple area. Another incision is also made behind the ear, extending into the hair. A third incision is made beneath the chin. During the procedure, fat is removed and redistributed and the underlying layers of tissue and muscles of the face are lifted. The skin is then redraped over the area, and the excess skin is trimmed and sutured into place. A full necklift procedure is the same as a full facelift, except that the incision does not extend up to the temple area. In a cheeklift procedure, the incision does not extend into the hair behind the ear. There is also no incision made beneath the chin. With a limited necklift, shorter incisions than that of a full necklift are made around the ear, and there is no incision made beneath the chin since the muscle and skin are tightened from the side. There are also smaller incisions made beneath the chin as compared to the longer ones required in a full necklift procedure. In a limited, or mini-facelift, procedure, the incisions are like those of a full facelift except that there is no incision beneath the chin. Many patients have aging skin as well as drooping skin, muscle or fat. Laser skin resurfacing is frequently done at the same time as the facial lift with a laser or chemical peel. It can be done in small areas, such as the lips and eyelids, or over the entire face. After seven days, healing is usually completed to the point that makeup covers the treated area beautifully. Recovery time for a facelift surgery is usually 10-14 days, based on the type of facelift performed and your rate of healing. After a full facelift and full necklift procedure, you will generally have small drainage tubes behind each ear for a few days. After any type of facelift, there will be some bruising and swelling on the face, which should subside within the first two weeks. After 10-14 days, you may resume normal activities, including driving and light exercise. Most patients look quite normal by then. Is there an age limit for facelift surgery? Age is less important than the health of the candidate. Generally, patients in their 40s and 50s tend to be healthier with fewer medical issues than those in their 60s and 70s. However, as long as the patient is in good health and not struggling with chronic medical issues, age is not a serious consideration. The operation itself is not painful, as anesthesia is administered for patient comfort. After surgery, some patients have mild discomfort in the head and neck that disappears within a day or so. Oral medication can help soothe the pain. Are there any alternatives to facelift surgery? Botox injections are another way to reduce wrinkles around the forehead and the outer corners of the eye, but the results are temporary. Laser skin resurfacing treatments can subtly reduce wrinkles and tighten the skin to minimize drooping, but the results are not as transformative as facelift results. Ulthera and Thermage are sometimes used to achieve non-surgical skin tightening, but the results are quite limited. Are the results of facelift surgery permanent? While facelift does not stop the aging process, it “turns back the clock” by about 10 years. Patients can enjoy their Los Angeles facelift results for many years, especially if they take good care of themselves by maintaining their weight, avoiding sun exposure and following a sound skin care routine. Some patients opt to repeat the procedure after 10 years to stay ahead of the curve. Does facelift surgery leave noticeable scarring? Any surgical incision leaves a scar, but Dr. Sanders is careful to place the incisions in the natural creases of the skin and in the hairline to prevent noticeable scarring. Most of Dr. Sanders’ facelift scars are so inconspicuous that even a hairdresser cannot detect them. What Is the Best Procedure to Firm the Neck and Chin?